Authors of the reference "An Encyclopedia of Cultivated Palms" mention that about 192 genera of palms exist in the world, and further classification of the palm family (Arececeae) yields nearly 2,500 species. Physical characteristics of palms, especially leaves and flowers, helps to classify them and also to more efficiently identify them. Palms include species with a single trunk or those with clustering or clumping stems. They may be straight or curving, smooth or spined or covered in thatch. Most palms also possess leaf scars somewhere on their trunks, often toward their tops. 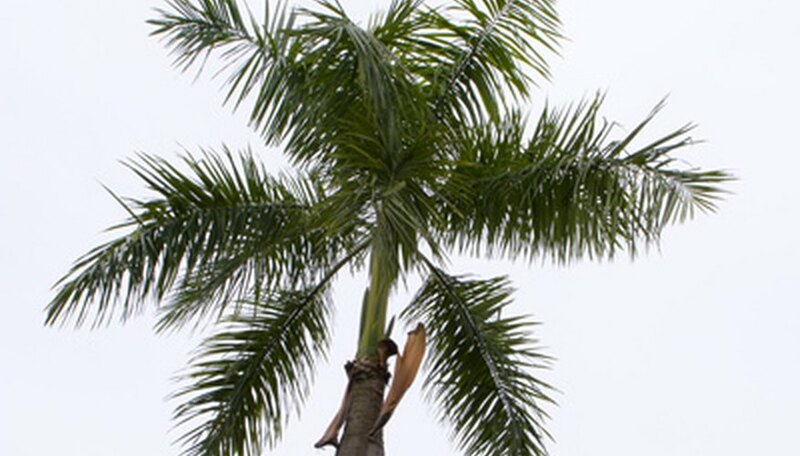 A palm grows from the tip or apex of the trunk, an area often called the crownshaft, from where new fronds emerge. 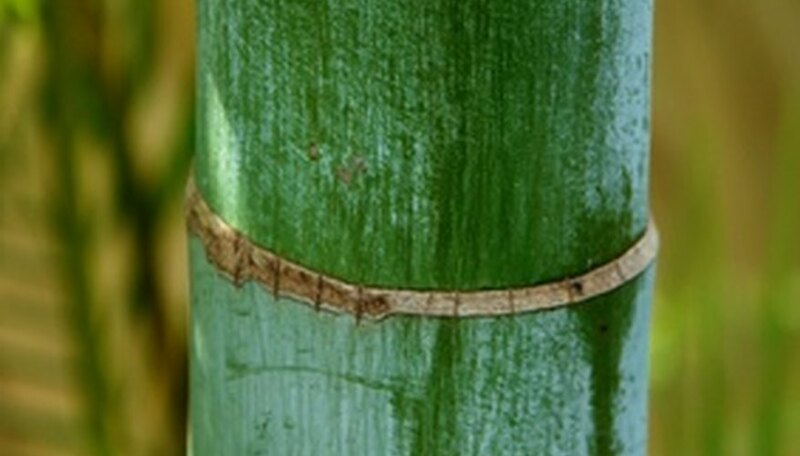 Trunks and stems do not grow like true trees: palms increase their girth by expanding the existing cell tissues, not by growing new wood like oak or maple trees. Among the fastest means to narrow down the identification of a palm is the shape of the leaf. Long, featherlike fronds are known as "pinnate," while fan- or hand-shaped fronds are called "palmate." Segments occur on both types of fronds, sometimes so deeply that the fronds look shredded, or conversely lacking any segment so as to look like massive flat umbrellas. Examine the fronds closely looking for physical features that help distinguish between different palms. Spines, waxy or powdery coverings, hairs, or hairy filaments may grow on the frond stem. In palmate-leaved palms, look at the center of the frond. Sometimes a small and rounded beaklike center exists, called a hastula. 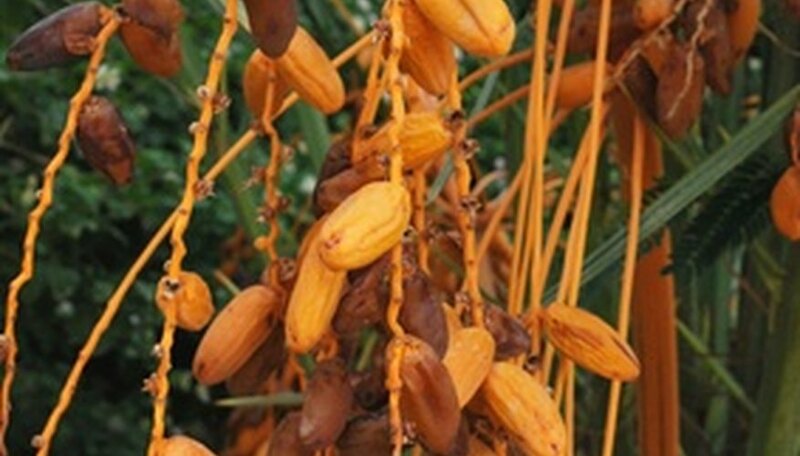 Color of fronds also provides insight into identifying the palm species. All palms flower. They do not look large and showy individually, but collectively form on a branching stem called an inflorescence. The inflorescence typically develops when weather is warm and protrudes from the crownshaft above, below or among the mass of fronds. The tiny flowers may or may not be fragrant and range in color usually from white to yellow. Overall, the feathery inflorescence is ornamental as it contrasts the shape and colors of the fronds. After the wind or insects pollinate the tiny blossoms on the inflorescence, each flower's ovary ripens into a soft or hard fruit that can display a scaly, smooth or spiny skin. Size and color of these fruits differ among palm species and may be the best way to definitively distinguish palms that look like each other in most other physical characteristics. 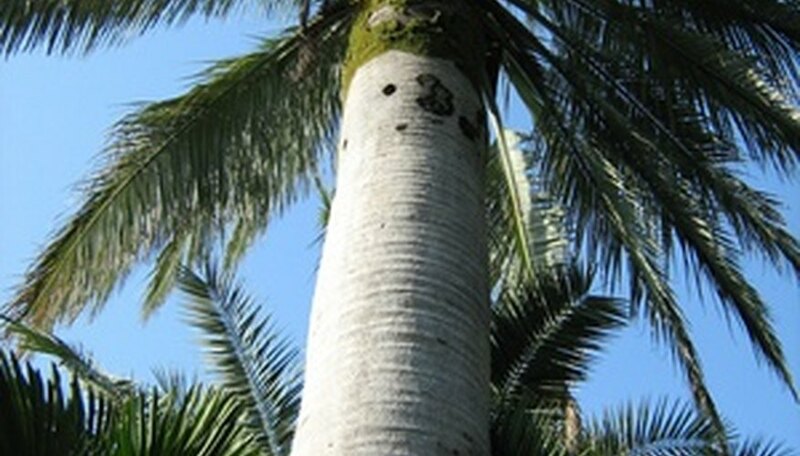 An example includes two types of thatch palms: Coccothrinax palms bear black fruits, while Thrinax palms produce whitish fruits. Even though common names may suggest a plant is a palm, their identities reveal themselves most notably when they flower, or don't flower. 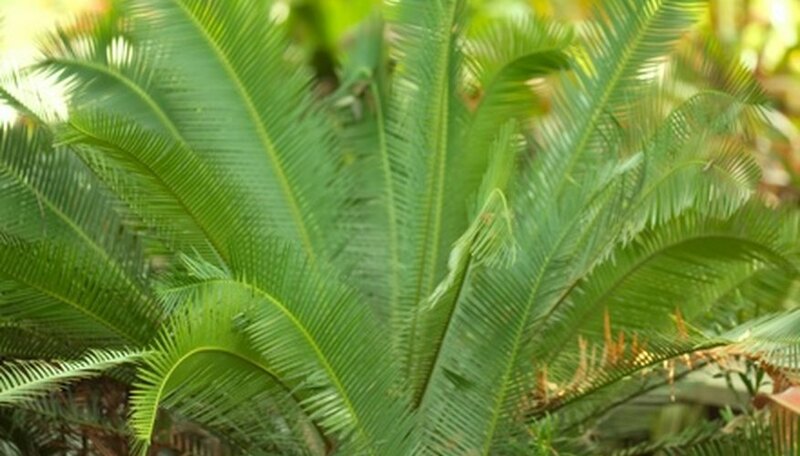 Cycads in particular resemble palms since they have feathery leaves and grow in tropical regions. Cycads also carry many trick-names, such as the sago palm (Cycas revoluta) or virgin palm (Dioon edule), but they do not flower. Cycads produce cones, like spruce and pine trees. 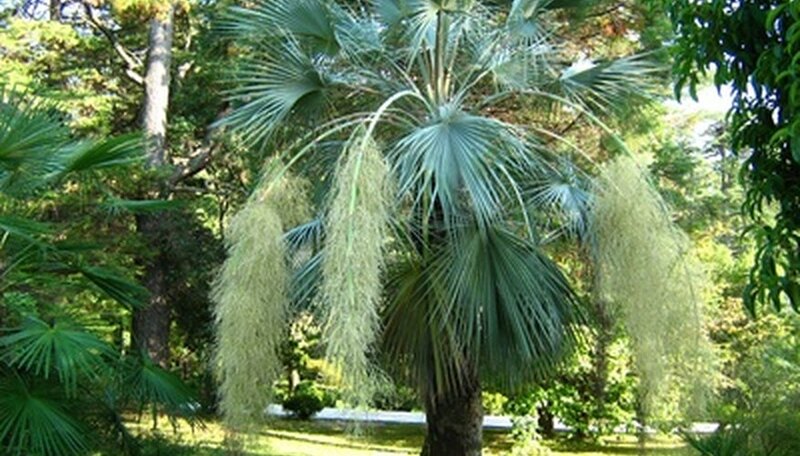 Other palmlike plants with exotic-looking foliage or woody trunks include aloes, yuccas and other tropicals like the ponytail palm (Beaucarnea recurvata), none of which is a member of the palm family.